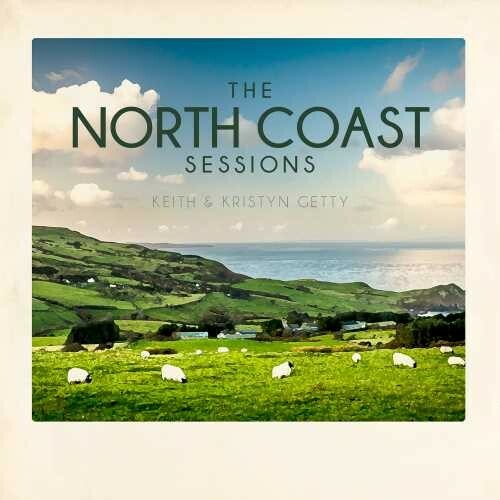 Preeminent modern hymn writers Keith and Kristyn Getty of Getty Music, release their latest CD titled, “The North Coast Sessions,” which includes hymns and songs inspired, in part, by the book of Psalms. “North Coast Sessions,” was recorded on Northern Ireland’s stunning coastline and is the first studio recording the Getty’s have released since 2016. It features songs such as “I Will Wait for You” based on Psalm 130; “The Lord Is My Shepherd” based on Psalm 23; and “I Lift My Eyes” based on Psalm 121. The project created with the 2018 Sing! conference in mind, focused this year on the Psalms and ways they shape personal prayer, public worship life, inspire beauty and truth and point to Christ and eternity. Keith and Kristyn Getty are renowned modern hymn writers from Northern Ireland. One of Keith’s most popular compositions, “In Christ Alone,” (co-written with Stuart Townend) is the #1 most-sung hymn in the UK since 2006 (CCLI) Songs from the Getty catalogue are sung by an estimated 100 million people annually in churches around the world. The duo has released multiple albums and performed at notable venues as diverse as London’s Royal Albert Hall, Carnegie Hall, and the Grand Ole Opry. The Gettys met in Belfast, Northern Ireland when they began songwriting together. They were married in 2004, and two years later, they recorded their first project as a couple in the United Kingdom and Nashville, TN. In 2006, they made the journey overseas to America and lived in Ohio for three years as they began their professional career. They moved to Nashville in 2010.